This surreal artwork is a bit Daliesque in the sense of its unexpected shapes, and the depth of the landscape. 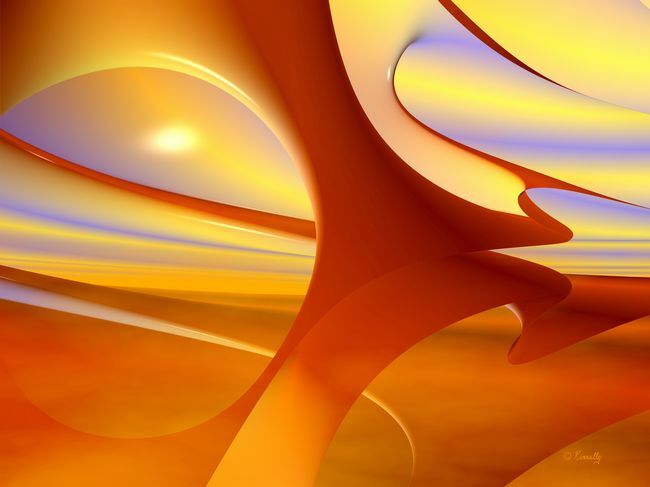 The colors, the look of the 'false' sky, and the alien landscape all lend an air of mystery and wonder to this artwork. 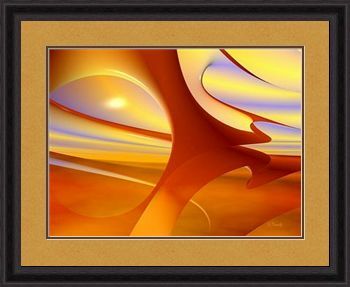 The organic curves, gently flowing and turning in an unexpected composition, the muted orange and rust colors of the landscape, and the blues and yellows of the 'enclosed' sky, present themselves in an intriguing and unique interplay of light and color. The result is an appealing, restful, and mysterious landscape that could only be found in the mind of its artist creator. Please join me and enjoy this view of my mental meanderings. Sample contemporary "Fine Art Print 'Red Planet'"
"Fine Art Print 'Red Planet'"